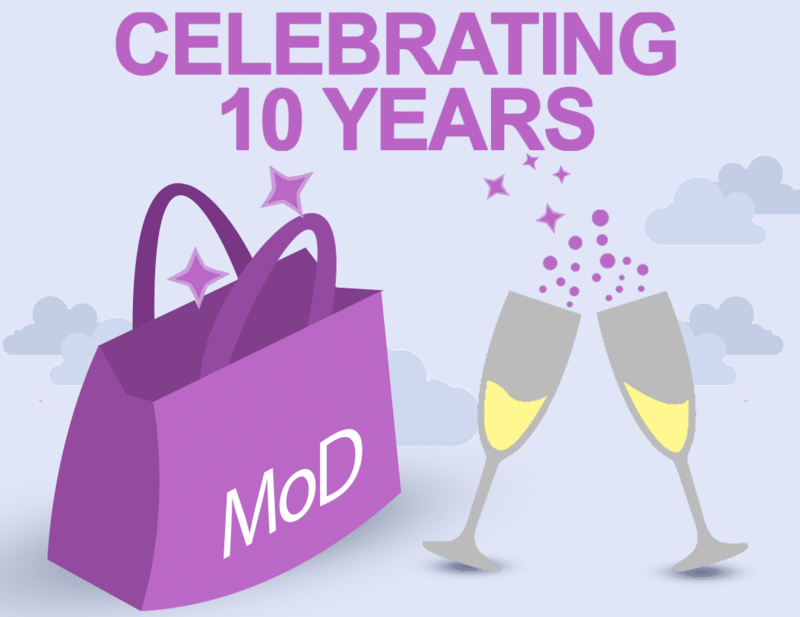 Marketers on Demand (MoD) is celebrating their 10th year anniversary this month. A niche recruiting agency for contract and permanent marketing talent, MoD President Marcie Pollack, is pleased to announce that the business has grown over 200% in the last 3 years alone. MoD started as a vision by Pollack to create a boutique agency, which specialized in marketing and creative placements, versus the readily available generalist firms. They filled the industry gap in contract and permanent placements. When the company started in 2008 during the recession, they adapted their business model to focus on contract positions to accommodate smaller hiring budgets and changing client needs. This enabled them to not only establish a successful business at the middle of a recession, but to remain profitable and keep advancing. The core focus on service, integrity and commitment at MoD has led to the creation of a truly connected and enviable network of clients and talent. Pollack and her team prioritize nurturing top talent to place them in the right culture and fit. MoD is proud to have achieved a 99% retention rate with their clients. ‘We are honest and advise clients on what is realistic in the market,’ says Pollack. The team at MoD is invaluable with their loyalty and commitment to the business, which is unheard of in the recruitment industry. With a clear vision, strong business model, invaluable team and a drive to succeed. Pollack launched Executive Talent on Demand in January 2016, spreading MoD’s expertise to the executive recruitment market within the Finance, IT and Sales functions. MoD has successfully extended their business model to expand to the U.S market and are continuing to focus on growth at their Toronto office, while opening operations in Western Canada and Chicago. Marcie Pollack started her career at a creative agency, where her passion for Marketing was born which pushed her to pursue the CAAP course in Communications and Advertising. She worked in a boutique recruiting firm, combined recruitment and marketing to work independently, rose to senior marketing roles and headed marketing divisions; all until she saw a gap in the market and the idea for MoD was born. Today, at the 10th Year Anniversary of running a successful business as a female entrepreneur, Marcie has remained true to her love of charity work and giving back to the community. She volunteers as a Doula and sponsors the Princess Ball for Wishes for Oliva from the Make a Wish foundation. Her personal interests are aligned with her family and she also enjoys decorating and being at the cottage.